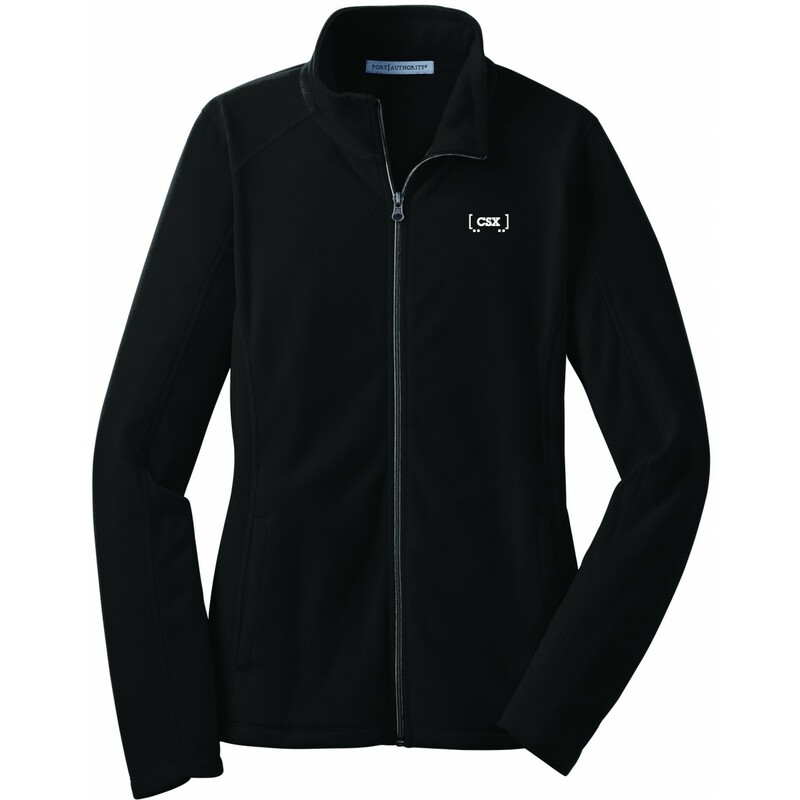 CT2610 - .5oz., 100% Polyester microfleece. Non-zippered front pockets. Open cuffs and hem. 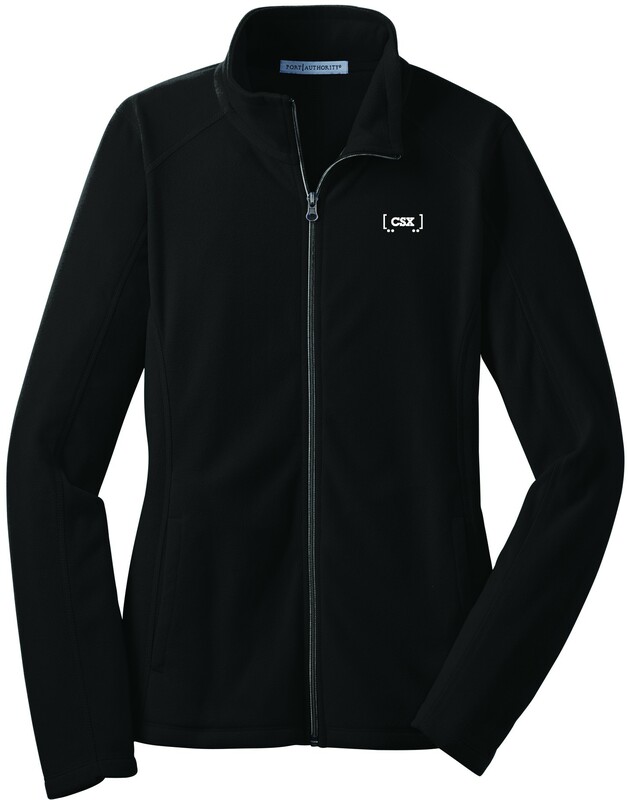 Black with light gray CSX railcar logo embroidered on left chest.